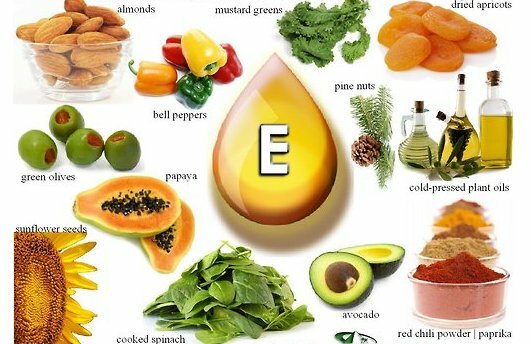 Vitamin E is a complex Fat soluble compounds that is present in almost all body tissues but the largest quantities are located in the pituitary glands and the suprarenal glands. Since the body does not produce this vitamin so we have to rely on the diet or supplementation for its recommended daily requirements. Being a powerful antioxidant Vitamin contains several benefits for your health and beauty. Let's have a look on some best health and beauty benefits of Vitamin E.
Vitamin E is a powerful antioxidant and boosts effectiveness of the immune system, primarily by making it more resistant to bacterial and viral infections. Vitamin E working together with Vitamin C and beta carotenes can help prevent the development of cataracts. Additionally Vitamin E also prevents age-related vision loss. Vitamin E has the ability to prevent cholesterol from clogging up the arteries. Vitamin E helps to keep LDL(Low Density Lipoproteins) levels low. LDL is the bad form of cholesterol that over time can build up within the walls of the arteries and lead to heart disease and blood clotting. Vitamin E is very beneficial for joints health. Vitamin E not only prevents Arthritis but also helps a lot in relieving arthritis pain and inflammation. Additionally Vitamin E also improves joint mobility and prevents buildup of toxins in the joints. 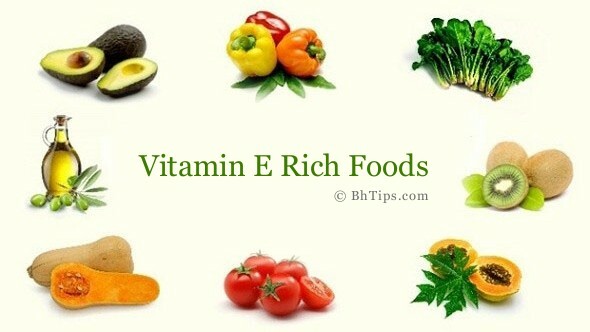 Vitamin E is also very helpful in fading and removing acne scars. You can apply a few drops of vitamin E oil to the scar tissue and gently massage the Vitamin E oil into the scar in a circular motion. The oil will penetrate deep into the skin to repair the scar tissue. For best results apply this oil on affected areas of a daily basis. Vitamin E oil is considered very effective in healing and removing stretch marks. Regular application and massage of Vitamin E oil on the stretch marks will gradually reduce their appearance. Vitamin E oil benefits the skin by helping it retain its natural moisture content. Additionally Vitamin E oil makes dull and dry skin look healthy, glowing and fresh. Problem of premature graying of hair can be prevented with help of Vitamin E oil. Premature graying of hair is basically caused due to oxidation of the tissues. The antioxidants properties of Vitamin E oil effectively prevent the corrosion of tissues and reduce the possibilities of premature graying of hair. Vitamin E oil is very effective in slowing down the aging process. Antioxidant properties of Vitamin E fight against the skin damaging free radicals and not only prevents the formation of premature wrinkles but also helps a lot in treat of existing wrinkles. Daily application of Vitamin E oil on wrinkles will give you an amazing result within few days. Excellent healing and repairing abilities of Vitamin Helps a lot to speeds up wound healing process. Recent scientific researches have found that people with sufficient amount of vitamin E has quick ability of wound healing as compared to those who don't get enough Vitamin E.
Vitamin E is naturally found in different types of food. Avocados, mangoes, sweet potatoes contains good amount of Vitamin E. Many natural oils including olive oil, sesame, sunflower, safflower, soybean, peanut, and corn are naturally rich sources of Vitamin E. Some nuts and seeds also contain good amount of Vitamin E. Almonds, walnuts, Brazil nuts, hazelnuts, sunflower seeds are excellent examples of Vitamin E rich nuts and seeds. Butter, margarine, eggs, wheat germ, wheat germ oil, soya, yams, corn and fortified cereals are other good sources. Some green vegetables like spinach and broccoli also contain good amount of Vitamin E.
Vitamin E deficiency is connected to poor absorption of nutrients in the digestive tract. A deficiency may also be associated with pain, tingling, and numbness in the arms, legs, hands, and feet as well as with infertility in both men and women. For Pregnant women deficiency of vitamin E may lead to miscarriage.Vitamin E deficiency results in neurological symptoms such as impaired balance and coordination. Vitamin E deficiency also cause muscle weakness. Women should take 10-15 milligrams and men need 12-15 milligrams of vitamin E daily. However, people who smoke cigarettes are advised to increase Vitamin E levels to counteract the increased stress on the lungs that is caused by cigarette smoke. Besides this, air pollution can cause the same type of lung stress, so those persons living in areas frequently subjected to air pollution should also increase their daily intake. (i) Instead of Vitamin E supplements, try to take vitamin E in natural form and try to consume fruits, vegetables and nuts rich in Vitamin E.
(ii) Although Vitamin E contains lots of health and beauty benefits but still you should avoid the overdoses of Vitamin E. Overdoses of vitamin E supplements can cause nausea, headache, fatigue and bleeding. (iii) People who take blood thinners or other medicines should not take vitamin E supplements without consulting a Doctor. (iv) High or overdoses of Vitamin E can also cause kidney failure. (v) Vitamin E supplements might be harmful when taken in early pregnancy. Pregnant women shouldn't take vitamin E supplements without consulting A Doctor.